I’m a sucker for whitewashed wood. 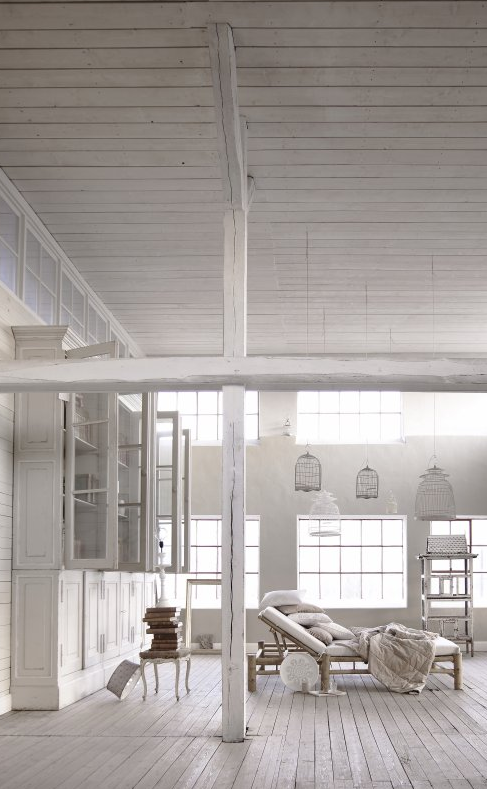 And when you have beams in your home, often the feng shui cure too cut the oppressive beam energy is to paint them white (because white is representative of metal and metal cuts wood). But never mind all that. I just like the way this photo makes me want to paint everything different shades of white and see what happens. Maybe the white-out will inspire new creative ideas? Or perhaps the absence of color will bring me to higher levels of meditation? This photo feels like a new beginning…a canvas just waiting to be ravaged with paint.